In celebration of EMS week 2016, we are proud to help EMS and First Aid groups in foreign countries. Many countries around the world aren’t as lucky as the United States in respect to our luxurious EMS infrastructure. Here at Operation Hammond, we have been following the great work of Rescue Group Volunteers (G.R.V.) in Campos dos Goytacazes, Brazil. 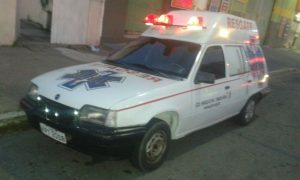 They provide technical rescue and basic ambulance service utilizing a fantastically converted 1994 General Motors Station Wagon Ambulance. They were founded as a Brazilian non-profit on October 15, 2012, which is the same year Operation Hammond was founded. Chairman Emilio Martins and his staff, work tirelessly with limited to no funding to support the pre-hospital care needs of those who would otherwise have no care. 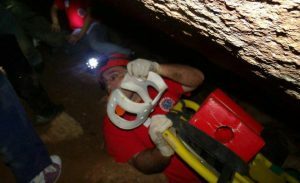 Rescue Group Volunteers are skilled and adept at making due with less. Our Chairman first heard of G.R.V. 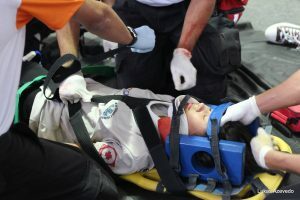 in EMS World and started talking to Emilio about the unique aspects of providing basic first aid care in adverse conditions. As time went on we found that there were many parallels between Operation Hammond and the G.R.V. However, there was one single aspect the G.R.V lacked, the equipment necessary to save lives. Without equipment, the hard working men and women within G.R.V can’t be effective toward their cause. 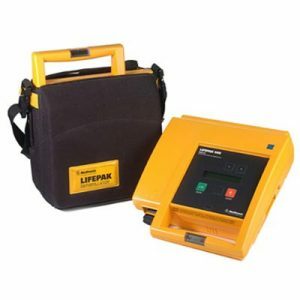 I n celebration of EMS Week 2016, Operation Hammond is proud to announce the donation of a Lifepak AED and other assorted medical supplies to the Rescue Group Volunteers in Brazil. At Operation Hammond, we firmly believe that AEDs save lives. We feel many lives can be saved by the G.R.V with this simple donation of an AED. It is our honor and privilege to gift an AED to the members and leadership of Rescue Group Volunteers in honor of EMS week 2016. Check out some of the photos of G.R.V bellow. 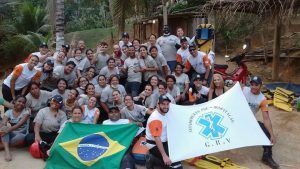 To learn more about Rescue Group Volunteers please visit their website http://www.grv.org.br (Portuguese) or check out their facebook page here. Next: Next post: Cosplay is Not Consent!